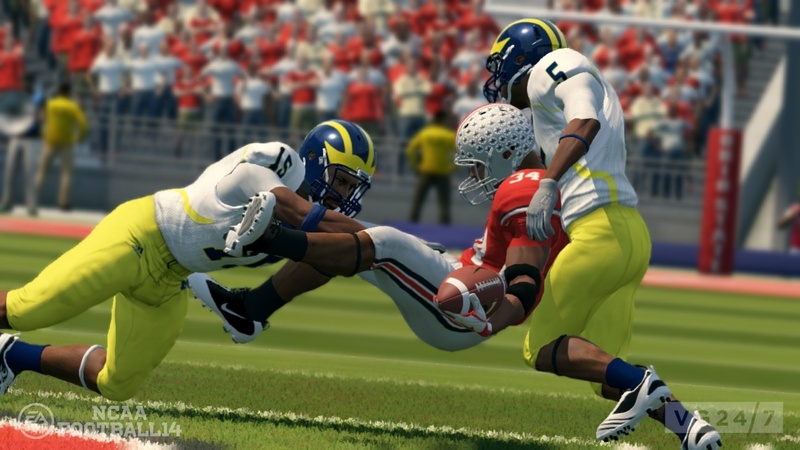 What makes NCAA 14’s contemporaries engaging is the way in which players of MLB: The Show and NBA 2k create unique characters with strengths and weaknesses that can be felt in the gameplay. Too often in NCAA 14, playing as a quick-footed running back feels no different than a bowling-ball full back in the open field when a defender comes to make a tackle. Plowing over defenders requires pressing forward on the right analog stick while spin moves and a defender’s reaction to them still feel predetermined. There’s no learning curve to running with the football, creating an arcade-like experience. The review more or less speaks for itself, but I'm disillusioned by EA's lack of progress. Not that this is anything new, but as another year passes with only minor changes, it's become clear America's Worst Company cares only about selling more copies, not putting out a quality product. It's disappointing watching this franchise deteriorate, and with any luck, EA will lose their exclusive rights to NCAA an NFL football soon. Read the full review at PopMatters.